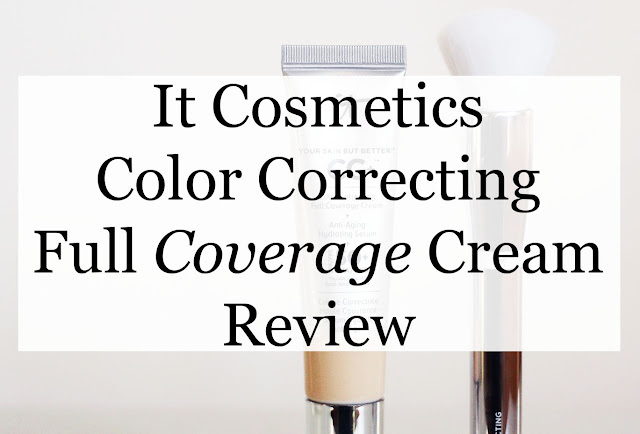 I don't think there's enough fuss surrounding the CC Full Coverage Cream by It Cosmetics for this to be a "worth the hype?" post, but it's certainly swathed in positive reviews. Naturally, I had to try it for myself. Although this is technically a CC cream, it boasts to give "full, flawless, perfect coverage"* - just like a foundation, so this really appealed to me. As somebody who previously suffered from acne, although my scars are minimal and flat (I'd argue more like persistent marks rather than scarring), I'm still very conscious of them being visible through sheer foundations. If anything, I feel like when they're partially covered it looks worse than when my skin is bare; at least then they blend in with general skin pigment, rather than being a mark in an otherwise flawless finish. Therefore, for me to achieve a 'completely flawless' base that I'm happy with, it has to be full, full coverage. So a light weight CC cream with the coverage of foundation really appealed to me! I am reasonably happy with it. I think I'm not as thrilled with it as I anticipated because I had such high expectations. That being said, my expectations were only based on supposedly impartial reviews and not a marketing campaign. The coverage is not what I expected. It's still very much like a sheer-to-light coverage foundation. From a small distance away (someone standing maybe a metre away from you, for example) your skin does look flawless, but close up you can still see the imperfections coming through. It does a wonderful job at making your skin tone look even and the overall texture look smooth, but it doesn't cover those stubborn marks of past or present blemishes. I really do think though that my personal insecurities play a big part in my disappointment. My acne scarring really isn't that bad at all, but because I know it's there, I'll always see it. Does that make sense? It's as though my full coverage foundations have become like my comfort blanket. Despite my disappointments, I have been reaching for it a lot because I love how good it makes my skin feel and how dewy and smooth it makes it look. 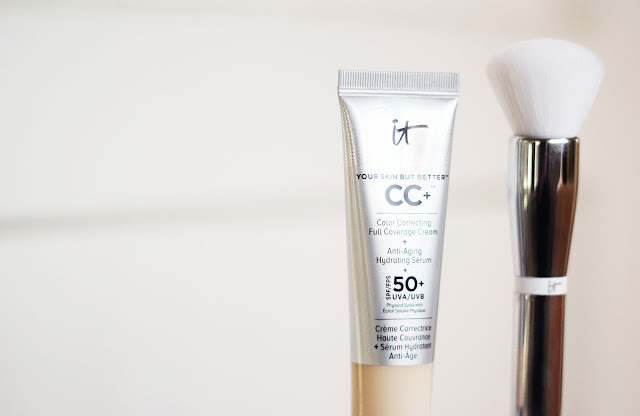 Over my cheeks - where my imperfections are - I just use a little extra concealer. 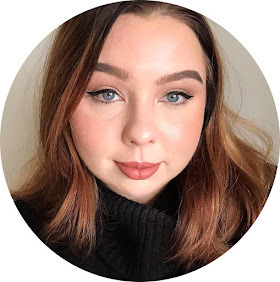 It didn't live up to my expectations because I anticipated it being like a foundation, where you don't really need concealer, but I am still enjoying it. I think it'll be my go-to for summer time. It's very, very easy to blend. It feels amazing; it's really hydrating! 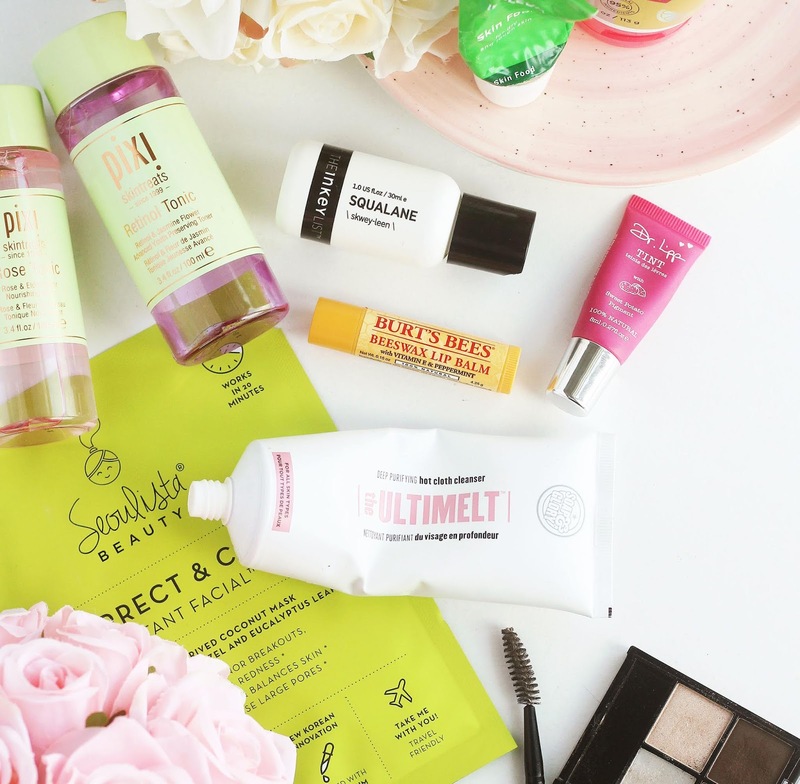 And of course it's packed with skin-loving ingredients including hyaluronic acid and vitamins A, B, C and E*, as well as having an SPF of 50. It doesn't smell of SPF though, it smells like lemon drizzle cake! As well as the CC cream, I also got the Heavenly Skin Brush which is designed for use with the CC cream. I am enjoying it, the brush is nice and fat which is great, but the hairs are quite sparse so takes a lot of blending to avoid visible brush strokes. I do like it and I'm glad I've got it, but it doesn't beat my beauty blender. Especially with the CC cream. 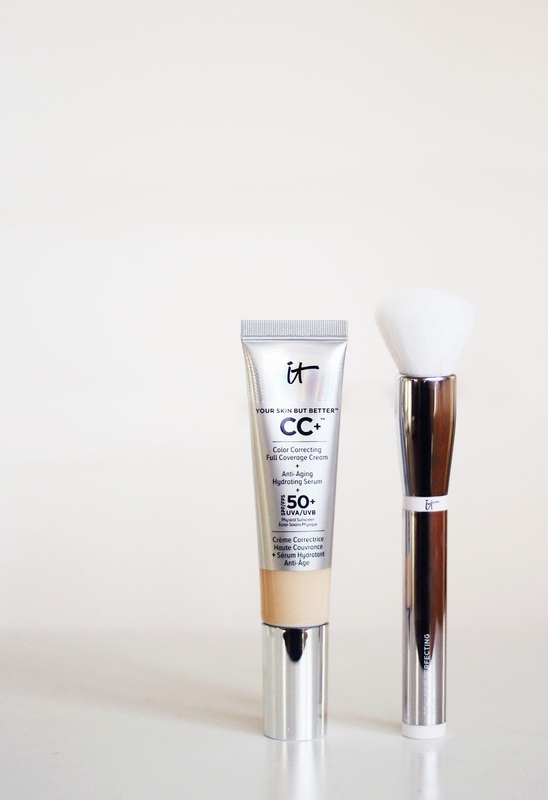 I love that this CC cream has SPF 50! The shade sadly doesn't look pale enough for me though! I am using a CC Cream too and it's the only cream that gives me medium coverage, something that my BB creams did not give me. I am very pleased with it and I love that it has SPF50!